Providing you the best range of heat exchanger, dryer heat exchange, industrial heat exchanger, heat ex-changer for chemical tray dryer heater, oil extraction plant heat exchanger and solvent plant heat exchanger with effective & timely delivery. 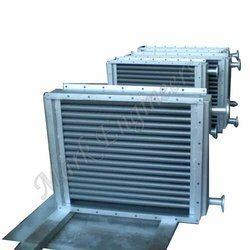 Backed by the sound infrastructural facility and experienced personnel, our company has been able to emerge as one of the renowned manufacturers and suppliers of Heat Exchanger. Application laminate & wood industry. 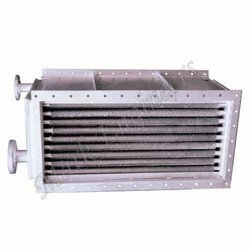 Dryer Heat Exchanger offered are made available by us in precision designed and constructed finishes and provides for optimum support in involved process operations in different industry sectors. 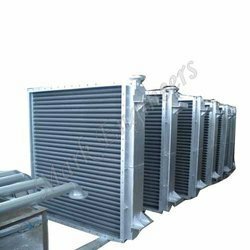 These are manufactured as per standards followed internationally and as per the process needs of applications involving air heating as well as cooling work. We can also customize its configurations as demanded by the customers. 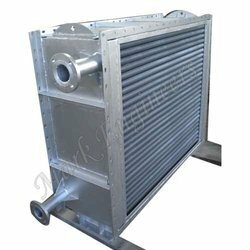 Industrial Heat Exchanger offered are backed by latest technology support and comprise high performance based Industrial Heat Exchangers that find application in areas of air conditioning. Other than this, these heat exchangers also find application in areas involving refrigeration, natural gas processing as well as in space heating that requires transfer of heat from one medium to next. For assuring in them optimum functional support these are also tested on defined parameters before delivery. Heat ex-changer for Chemical Tray Dryer Heater offered is backed by latest technology support and provides for optimum functional working interface in given industrial processes. Featuring use of precision designed & developed components and machinery parts using stainless steel metal support. Oil Extraction Plant Heat Exchanger offered is backed by latest technology support and provides for optimum functional interface in oil extraction plants. Coming support by latest technology standards as followed internationally, these high performance Heat Exchangers for Oil Extraction Plants are developed using optimum grade stainless steel as per defined industry standards and norms. 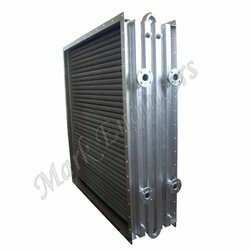 Solvent Plant Heat Exchanger offered are made available in precision designed and constructed finish and offer optimum support in involved process operations. Finding usage in meeting the demands of heat transfer from one medium to another, the media comes separated through solid wall/direct contact and can be made available in different finish configurations so as to match up with the exact process application demands of the customers. 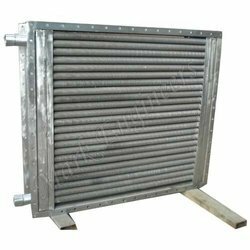 Fluid Bed Dryer Heat Exchanger offered are designed and developed as per the standards followed internationally and match up with the exact work process application needs at client’s end. Providing for optimum functionality support, these exchangers are made available in superior quality stainless steel finish sourced from the reliable vendors that provides for consistent performance and reliable end usage. 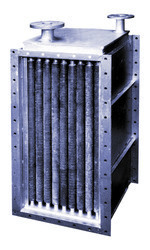 Oil Heat Exchanger offered are made available by us in precision designed and manufactured finish in superior grade stainless steel finish which provides in these optimum durability, performance as well as dimensional accuracy support as desired for handling particular end applications these are used in. For ensuring in oil heat exchangers consistent performance support these are also tested on defined parameters so as to match up with international standards and norms. 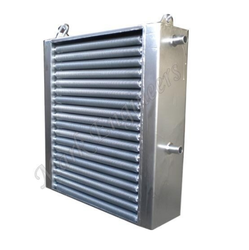 Pharmaceutical Food Heat Exchanger comprises latest technology based equipment that finds application in efficiently removing heat from high-temperature fluids with support of processes involving convection and conduction. Coming with counter-flow as well as parallel heat exchanging possibility, these heat exchangers also come with vacuum brazing at high temperatures that provides in them permanently sealed working interface. Polymers Heat Exchangers offered find suitability for meeting complete processing needs of industrial polymers and come with thin acid-resistant stamped stainless steel plates supported by brazed gaskets so as to provide for optimum functional support. These heat exchangers also come with vacuum brazing finish at high temperatures that provides for permanently sealed working interface. Further, the system’s working interface also supports removal of heat from high-temperature fluids using convection and conduction process. 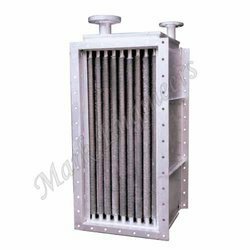 Marine Heat Exchanger offered are backed by latest technology support and durable construction quality which makes these provide for efficient performance in given applications. 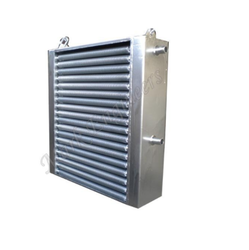 The end usage of these heat exchangers is for cooling boat's engine through use of lake, river or ocean water. Here, the presence of water and antifreeze mixture allows engine to remain within the defined temperature limits. The process includes heat transferred to used water source from water–antifreeze mixture. 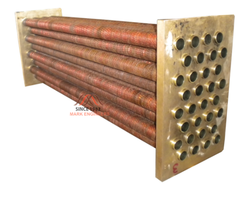 Looking for Heat Exchanger ?